Whirlpool® 26 cu. 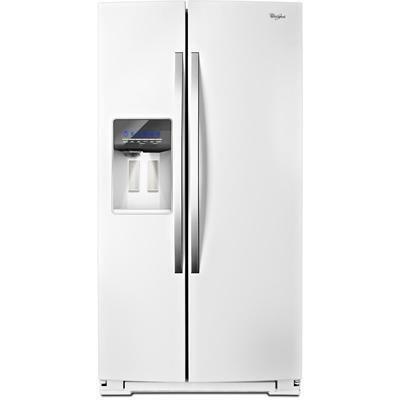 ft. Side-by-Side Refrigerator with In-Door-Ice® Plus System features Night-light, PUR® water filtration system, Adjustable gallon door bins and more. Total 26.3 cu. ft. / 0.74 cu. m.
Technologies in-door-ice® plus ice dispensing system; accu-chill™ temperature management system; freshflow™ air filter; Night-light; PUR® water filtration system; Hidden hinges; Adaptive Defrost.